I am a huge OXO fan and have already reviewed items from their Tot range. I was delighted when I was able to review their Dustpan & Brush too. When it arrived, it was a little smaller than I expected - but that's good. Having a small child in a relatively small house means not having much space to store things! (Babies may be small but they take up so much space, right?) I almost couldn't wait to get cleaning - imagine being excited to clean!? C makes a lot of mess at meal times. He's very independent and likes to feed himself now instead of being spoon fed so now I tend to just put his food on his highchair tray and let him help himself. He will eat what he wants but then he'll mess around and play with his food which leads to the floor being covered - enter Dustpan & Brush. Normally, we would be lazy and use the Hoover straight away but the Dustpan & Brush was actually a whole lot easier. The bristles on the brush are good and thick but soft at the same time. I only had a few occurrences where food stuck to them and I had to pull them off by hand. 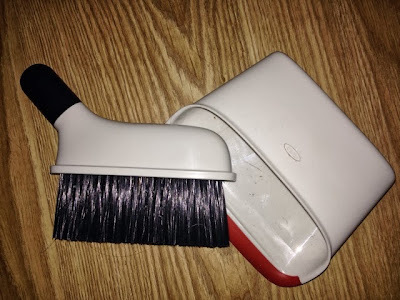 The Dustpan & Brush can also stand up or lie down flat depending on where you are storing it. 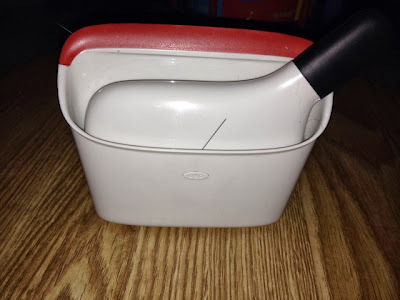 It is a really handy little cleaning tool and holds more dirt than you would think! You can purchase your own compact dustpan and brush here at a fab price of £7.00. 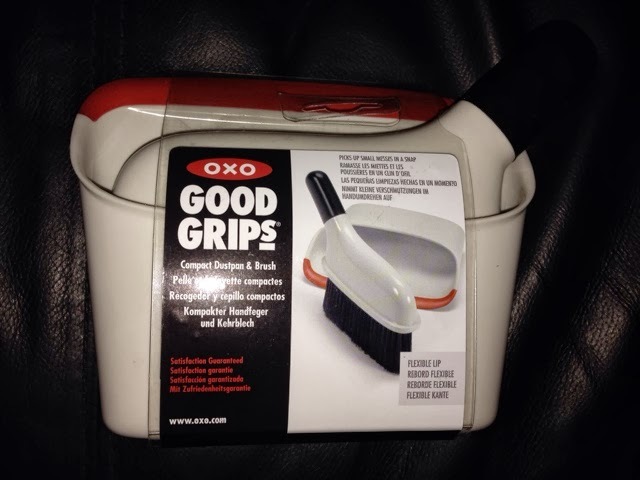 You can find out more about OXO on their website, Facebook and Twitter. (Disclaimer: I received this dustpan and brush for the purpose of my review. All thoughts and opinions are my own and will always be open and honest).